StartLogic Web Hosting Review - Is It Worth Your Money? StartLogic. Have you ever heard about this web host before you even landed on this post? Well, I’ve never heard of them until I did a little bit of research back in 2013. I signed up for an account with them and opted to stay for one year so I could test their services. All in all, my experience was positive. I don’t have an account with them anymore but seeing as how they’re gaining traction in the web hosting community, I just have to find out how they’re performing today. Hence, this in-depth StartLogic web hosting review. StartLogic was founded in November 2003, which means they’ve been in business for over a decade and are fully aware of consumer demands when it comes to web hosting. 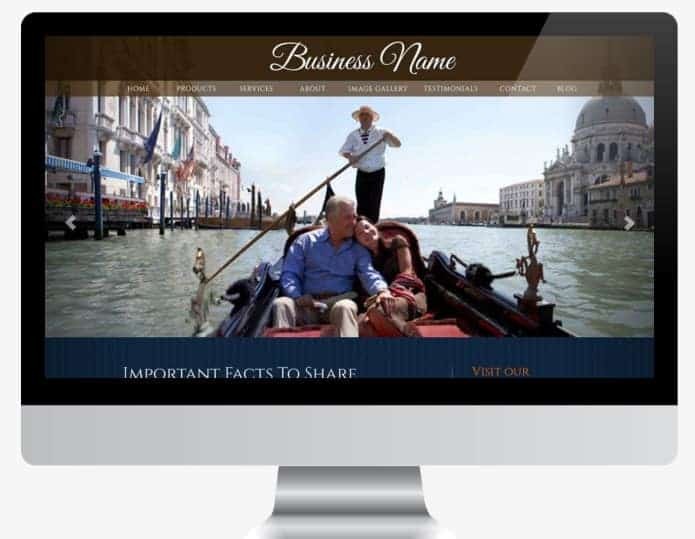 The company’s goal is to help individuals and small business owners build their own website, discover their potential online, and grow their brand along the way – regardless of their story, experience, or needs. And to quote StartLogic: “We don’t just want to get people online – we want them to thrive and grow online.” It’s their mission to deliver the best value and superior web experience to their clients. StartLogic offer affordable solutions for your web hosting needs, be it for building an eCommerce site, a personal blog, an online portfolio, etc. In 2011, they were even chosen to work hand-in-hand with Internet giant, Google, in their effort to help those who want to grow their business online. Together, they have implemented a program called “Get Your Business Online” that not only offers useful website-building tools and services, but also the education and knowledge it takes to grow and succeed on the World Wide Web. But the question remains: Can this web hosting provider live up to its promises? I’m going to go over some of the features that come with StartLogic’s hosting service, including the various hosting plans, pricing, uptime track record, and customer support, among others. I’ll also mention a few pros and cons to help you get a better picture of the perks you’ll get, as well as a few key issues that I feel they should improve upon. Hopefully by the time you finish reading this review, you’ll be able to make the decision whether or not you should sign up for an account with them. StartLogic offers a number of hosting plans for small business owners on a budget. They offer 6 packages in total: 3 shared hosting plans and 3 VPS plans. Besides these, you can also purchase domain names and lots of other products and services to help you grow your business online. Below, I will go into further details regarding their hosting plans. StartLogic’s Linux-based web hosting starts at just $4.50 per month, which is cheaper than most other web hosting providers. If you’re looking to build a simple website, then you can definitely benefit from one of StartLogic’s shared web hosting plans. StartLogic offers three different shared hosting packages: Express, Pro, and Supercharge. By choosing any of these plans, you can get a whole array of features and tools to get you started with your site, for just a few bucks! No experience? No problem! If you’re new to the whole web hosting thing, let StartLogic’s basic shared hosting plan, Express, do the work for you. It’s the perfect solution for newbies, technophobes, personal sites, basic small businesses, and individuals who are just too busy to build a site from scratch. With this plan, you can get a fully functional website in just a matter of minutes – no experience required! The Site Expresso site builder will do the heavy lifting for you. It will generate unique content for your site so you can save a lot of precious time and money. You’ll get well-written content and attention-grabbing photos that reflect your personality, based on the basic info you provide. Simply answer a few questions along the way and – voila! – a finished site that’s tailored to your specific needs! If you want to make a more powerful mark online, why not go for the Pro plan so you can customize your own site? This plan is the ideal solution for bloggers, small business, portfolios, creative professionals and non-profit organizations that are looking to build flexible websites. You can create a website from scratch with ease and flexibility using the built-in drag-and-drop website builder. No need for any tricky coding or complex software. You can have a unique website up and running in no time! Finally, there’s the Supercharge plan, which is best suited for large, high-traffic sites that require optimum performance, and high-level speed and security. It’s best suited for entrepreneurs, eCommerce sites, businesses, growing sites, and advanced web developers. The plan comes with exclusive, Enterprise-grade technology that delivers lightning-fast loading speed and all the power you need to run a powerful website. You can even choose from various website builders! With the Supercharge plan, you can kick-start your website with extra speed and advanced security. You get the best of both worlds – the simplicity of building a website, plus top-notch performance that your growing business needs. Although their offers are roughly the same from other top web hosts like BlueHost, they’re actually cheaper by a few dimes. But at the time of writing, StartLogic don’t offer any special introductory price for their hosting plans. Even without one, however, all of their plans are considerably low-priced. In fact, they’re cheaper than most web hosting providers out there (even those that are already discounted!). Does a shared hosting plan hinder your site – and business – from growing? Maybe it’s time to upgrade it to give more room for your site to expand. A VPS hosting might just be your answer. There are many reasons you should go for VPS hosting. Firstly, there’s zero maintenance required, since it’s your web host that’s going to handle it for you. What’s more, a VPS can be “carved up” into more than a single virtual machine, which means you can have multiple virtual machines on one server or you can share your server with other website creators. But compared to shared hosting, the traffic and activities of other site creators in that server will not negatively impact your operation. You get to have your own share of server resources that allow you and your clients to enjoy fast load times. Top it up with more disk space, CPU, and RAM so you can further improve your site’s performance. And unlike shared hosting, you have the freedom to choose the software/applications you want to install. That’s right, no restrictions! Of course, one of the biggest benefits of VPS hosting is the price. You get to share the cost with other users in your server, so the tools and services often come at a much lower price, giving you significant cost advantage. The trick is to find a reliable VPS hosting plan that meets your specific needs. If you want affordability and reliability, then StartLogic is here to put an end to your search. They currently offer three different VPS hosting plans: Logic, LogicPro, and LogicPremium. The price starts at $29.99 per month – one of the cheapest offers you’ll find for VPS hosting. The price is just right for their VPS hosting plans, and come with the necessary features to get you started right away. What’s more, StartLogic even offers 24/7/365 expert support so you can always get the help you need at any time. Going for a VPS plan with StartLogic is a good idea, but other web hosts like BlueHost cast a shadow over their offer, especially when they’re currently offering a 50% on all their VPS plans. They even offer bigger storage, bandwidth, and memory. Maybe if StartLogic offers a discount, I could be more confident to endorse them to those looking for a more affordable option for VPS hosting. With StartLogic, you can pick the plan that’s best suited for whichever kind of website you want to build. Unfortunately, they currently do not offer dedicated servers for those who need a more robust hosting package and don’t want to share a server with other users. This can put off large-scale businesses and enterprises that are looking to create and manage websites with high traffic volumes and need the highest level of speed, performance, and security. So if you’re in need of a dedicated server, it’s best to look elsewhere. I highly recommend you visit BlueHost, which is known in the industry for providing some of the most affordable and reliable dedicated web hosting plans. Want more options? Other similar budget-friendly web hosts include eHost and iPage. Don’t forget to check them out first before clicking that “Sign Up Now” button! Unlike other top web hosts, StartLogic do not offer managed WordPress hosting, which is a bit of a letdown especially among those who love to build their site in this easy-to-use and powerful website building platform. But that doesn’t mean you can’t build a WordPress site with them! 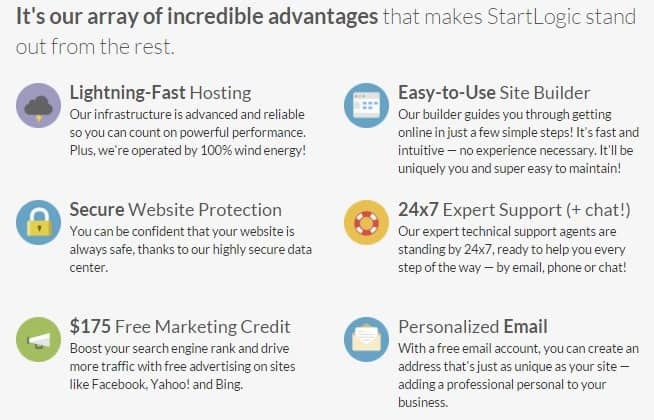 In fact, StartLogic offers you plenty of ways to easily build a site with them. From the MOJO Marketplace, you can quickly and easily install WordPress, Joomla, and other popular content management systems (CMS). Want to test your web development skills? You can use the Weebly drag-and-drop site builder to create and customize a professional-looking site! Your hosting account is even compatible with many other web development software. And if you want to grab everyone’s attention, StartLogic also offers professional web design services to help make your dream a reality. If you’re pressed for time and you can’t commit to building a website from scratch, don’t worry because, like I mentioned earlier, StartLogic has a team of experts who will be happy to create and design your site. They offer a few different site design services to fit every need. Pricing for their web design services vary, depending on your chosen package (Marketing and Informational Sites, eCommerce Sites, or Custom Site). Right now, StartLogic is even offering a limited-time 10% discount promo on select web design services. Personally, hiring a professional should be your last resort, and that’s if you’re really too busy to build a website yourself. I would still recommend you build your site on your own because not only will you get to customize your site (and put your web development skills to the test), you’ll also save a ton of cash. Remember, a professional fee isn’t just equivalent to a cup of coffee, so you better put some thought into it! It may be time-consuming but I tell you, it’s worth the effort! So, would you still go for StartLogic? If you’re an avid WordPress user and you want more convenience in building a site, it’s best to go for a web host that provides managed WordPress hosting. BlueHost is a perfect example of a web host that offers an affordable and feature-rich package for managed WordPress hosting. StartLogic offer their clients with a full-service vDeck control panel, complete with a user-friendly interface. While I personally prefer cPanel, vDeck is equally efficient and is capable of performing all the necessary webmaster functions. When I had an account with StartLogic, I found their control panel to be truly easy to use, even for beginners. The learning curve is about 10 to 30 minutes, depending on your level of experience. StartLogic uses vDeck version 3.0, which is a complete hosting automation solution that’s especially designed to let you manage your hosting account. You don’t even have to be a coding wizard to be able to use vDeck. It allows you to easily perform various tasks, from website creating and site marketing, to stats analysis and email account creation – all with point-and-click simplicity! What’s more, you can customize the control panel by adding your own logo, changing colors and fonts, and even add the control panel to your own branded website – all with some simple HTML! And because you can easily manage domains, you’ll truly have the tools and services you need to expand your business. I know the importance of having multiple income streams, which means you need to have more than one website. With a single and ever simplified control panel, you can manage the upkeep and continuous growth of your business on the Web. StartLogic makes it possible to enjoy these benefits through vDeck to keep your business moving forward. But as with anything, vDeck comes with a few quirks. 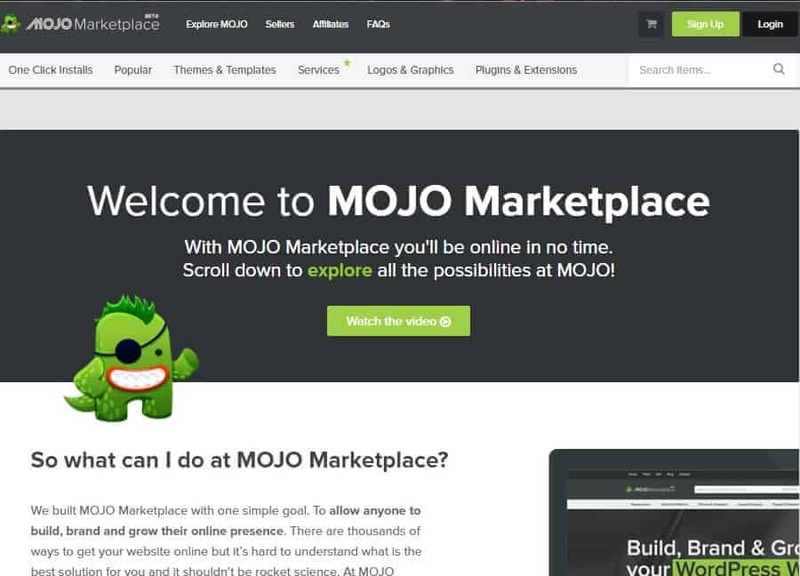 For example, they’re using the MOJO Marketplace installer for application installations. Sure, it offers one-click installs but this particular installer is a bit on the slow side. I also remember that I was a little irked with the ads displayed during the installation process. Given an option, I’d choose the Softaculous installer instead. Still, MOJO Marketplace does what it has to do, and it’s just as capable and easy to use. Are you all set to start selling online? Great, because StartLogic offers all sorts of eCommerce tools and services to help you get on the right track. Firstly, they offer PaymentSphere, which you can use for $24.95 per month. With it, you can easily and securely accept payments with a merchant account and payment gateway. You’ll get the best rates, fast deposits, and you can even process credit cards in real time. You can use it with your chosen shopping cart or scan credit cards directly, using your smartphone. Cool, right? And speaking of shopping carts, you will also be able to add a product search to your eCommerce site and put products on sale. Customers can place the products they choose in your online store into this virtual shopping cart, and then pay for them once they’re done shopping. StartLogic gives you lots of different ways to set up and integrate a shopping cart into your eCommerce site, including the use of the ShopSite Shopping Cart. Other shopping cart software include osCommerce Shopping Cart, Agora Shopping Cart, PayPal Payment Services, and Weebly eCommerce, which are available on StartLogic’s hosting plans (except for the basic Express plan). Worried about your customer’s private information? No worries! StartLogic lets you protect sensitive information during online transactions with a Positive SSL Certificate. But if you want the highest level of security, you could opt for the Comodo Extended Validation Certificate, which employs the strictest standards of any SSL certificate. It may sound a bit overwhelming, but the good news is that all of these tools are accessible via your StartLogic hosting account. There are plenty of options for you to configure your eCommerce site with these tools, so go ahead and experiment! StartLogic, like any other web hosting provider, offer 99.9% uptime guarantee, which is the industry norm for web hosting. However, I rarely see hosts that actually deliver the same. Based on my previous experience with this web host, I must admit I’ve had occasional downtime, which is not so good if your site is your chief source of revenue. With a site that’s always down, you could lose potential customers! But as I scoured the Internet for credible reviews from customers, I was glad to know that StartLogic is actually doing great and has an excellent uptime track record. Customers report an average of 99.95% uptime based on a 10-day testing period, which is quite impressive. The page-load speed also proved to be better than average. StartLogic has an average page loading speed of 1.4466 seconds over the course of 10 days, based on separate speed tests. Surprisingly, these figures are on-par with other top web hosts like eHost and iPage. Customer satisfaction is important for StartLogic. They’ve been around for over a decade now and they’re backed by a team of expert customer care agents, so they’re pretty confident that you’ll be happy with their services. But just because they believe in the quality of their services doesn’t mean you can straight-up register an account with them. So before you commit to them, you need to test the waters first. Good thing they’re offering a risk-free 30-day money-back guarantee to give you a chance to try them out. Go ahead and sign up. And if, for any reason, you decide to cancel your account within the first 30 days of service, StartLogic will give you your money back in full. Take note, however, that this refund policy is only valid for credit card payments. StartLogic is not able to offer the money-back guarantee for other payment methods at this time due to the costs that often come with processing payments. Take note as well that the money-back guarantee applies to all their hosting plans, excluding most add-ons, including domains. If you visit other web hosts, you’ll notice that most of them offer a 30-day money-back guarantee. Some offer a longer 45-day money-back guarantee; while a handful offer as long as 60 days. The longest trial period, however, is offered by DreamHost. They are currently offering a solid 97-day money-back guarantee, which is pretty amazing. So if a money-back guarantee is a key selling point for you, consider checking out DreamHost and other web hosts in the review section of this site! True to their word, StartLogic does provide 24/7 customer support, available via telephone, email, and live chat. However, there have been mixed reviews regarding customer support. Some customers observed that they often had to wait for as long as 15 minutes before they could speak with a service rep (which usually happens during regular business hours). Occasionally, emails don’t get replied as fast as you’d want, but it’s true with most budget web hosts. On the plus side, StartLogic do have a friendly and knowledgeable customer support team. What’s more, they have an extensive knowledgebase and user guide where you can find some useful how-to’s and video tutorials. It may not be everyone’s best option, but StartLogic is definitely not your average web hosting provider. Being chosen by Google as their partner in providing innovative web hosting services to small business owners is a solid proof that they’re not to be overlooked. But as with anything, this web host isn’t everyone’s cup of tea. It might work out for some, but for others it won’t. StartLogic is a good option if you’re looking for a budget-friendly shared web hosting plan. The problem is that you might run into some performance issues from time-to-time. Customer support also needs a little bit of improvement. If you’re not satisfied with their services, you could cancel your hosting account and get your money back in full, but only if it’s within the first 30 days. Overall, I recommend StartLogic to individuals and small business owners on a budget, but with reservations. Every plan is worth the price! I signed up for an account with them and opted to stay for one year so I could test their services. All in all, my experience was positive.